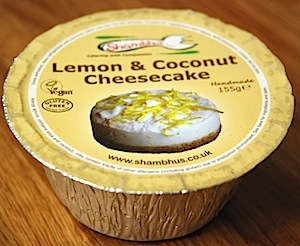 A handmade lemon & coconut dairy free cheesecake from Shambhu’s. 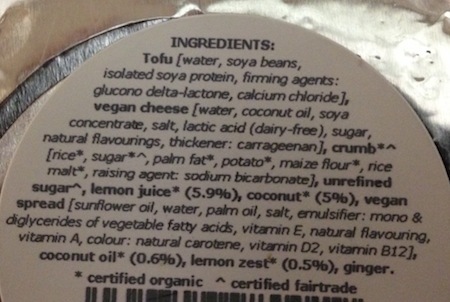 What an exciting vegan product to find, and it is gluten free. 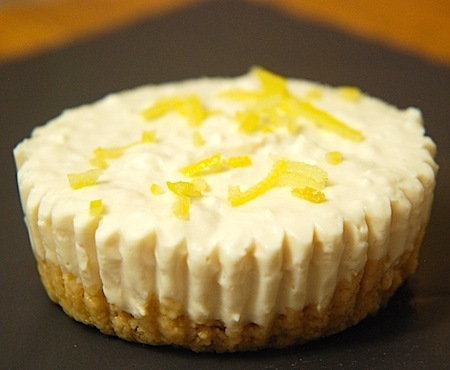 The cheesecake is lovely, it is a good size and is quite filling. The texture is firm which is good, and even though it is defrosted from frozen the base remains quite firm providing the necessary contrast to the topping. The flavour is intense lemon with coconut. A very pleasant dessert.